Eagle's Roost Campground is one of the oldest on the lake. The current owner is Kay Preston. Notice the goal is a "family friendly camping facility." Kay has maintained that as a goal of Eagle's Roost and many, many children have grown up having fun in this campground! Our seasonal campers return year after year for a good reason! 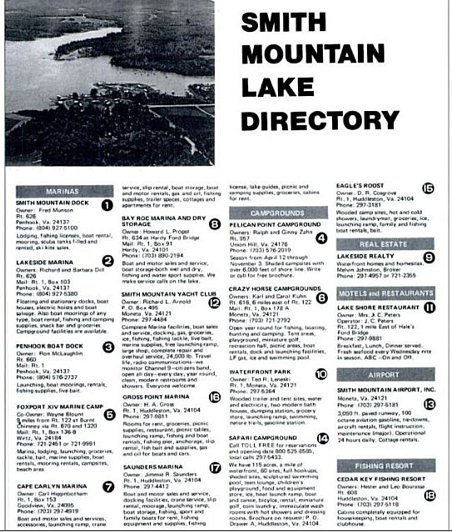 Our current owner, Kay Bausch Preston, bought the campground in 1998. She immediately added a new section, Woodsong, for full hookups, and under her leadership, all electricity and water lines have been embedded underground, the beach area and docks have been cleaned up and refinished, and she has also commissioned many upgrades to other areas of the campground. Kay is an amazing singer and at our annual July 4th Campground picnic, leads us all in God Bless America. 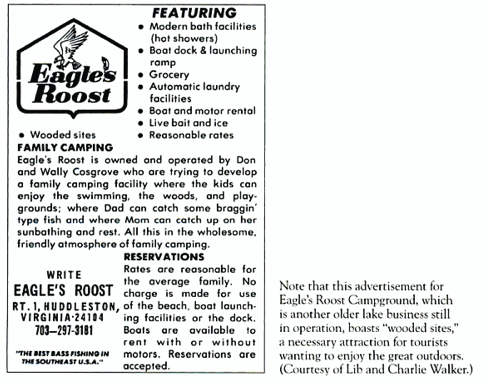 Roseltha Louisa (Wally) Waldron Cosgrove was owner and manager of Eagle's Roost Campground for 26 years. She knitted and crocheted beautifully. Always involved in the community, she helped the Smith Mountain Lake area grow. Colonel T. L. Cooper built Eagle's Roost in the 1960's.